Haifa Zangana, an Iraqi novelist, author, artist, and political activist, will discuss all these issues with us. Haifa grew up in Baghdad where she graduated at the School of pharmacy in 1974. She was imprisoned by the Baath regime, and on her release remained in Iraq to continue her studies. As a member of the PLO, she was the manager of the pharmaceutical unit, moving between Syria and Lebanon. She has written numerous books, the best known being Women on a Journey: Between Baghdad and London, and City of Widows and is also a contributor to European and Arabic publications such as The Guardian, Red pepper, Al Ahram weekly and Al Quds (weekly comment). 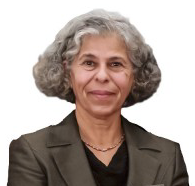 She was a founding member of the International Association of Contemporary Iraqi Studies and a member of the advisory board of the Brussel’s Tribunal on Iraq.